A key player in one of the largest fraud schemes in history has been caught on Ambergris Caye. According to official reports, David Miguel Nanes Schnitzer was arrested in San Pedro Town on Tuesday, November 3rd following a special operation conducted by the San Pedro Police Department, International Criminal Police Organization (INTERPOL) and the US Marshals Service. He was part of the Ponzi scheme which was orchestrated by financier Allen Stanford and resulted in a $7US billion fraud. 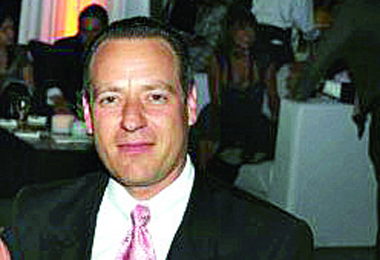 Nanes Schnitzer was the president of Stanford Group Mexico overseeing operations in Mexico, Panama and other parts of Latin America. The Ponzi scheme entailed the selling of billions of dollars in certificates of deposit administered by Stanford International Bank Limited, an offshore bank in Antigua. Thousands of investors suffered major financial losses in the hundreds of millions of dollars leading to the collapse of Stanford International Bank. Allen Stanford, who led the scheme, was arrested in June 2009 and has since been serving a 110 year sentence at the Coleman II USP in Sumterville, Florida. While there are no public US criminal charges pending against Nanes Schnitzer, he is wanted by authorities in Mexico for his involvement in the defrauding of over a thousand Mexican investors. According to police, Nanes Schnitzer had been living in San Pedro for close to three years and had obtained Belizean documents including a passport, driver’s license, boat captain license and even a Social Security card. While living here Nanes Schnitzer was under a different name, thus eluding authorities. Since his apprehension, he has been processed by the San Pedro Police Department and handed over to INTERPOL. Nanes Schnitzer will be handed over to Mexican authorities to face charges for his crimes.